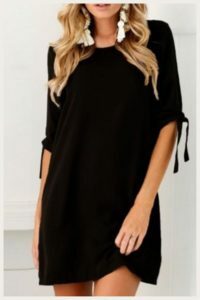 Black tunics are so versatile. I once wanted to include a lot of colour in my warbrobe, but found that I’d always reach for the black tunics :/ I love to wear them with jeans on the weekend or with a patterned skirt and boots during the week. 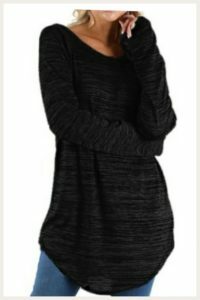 I’ve curated a selection of really well priced black tunics from PatPat in this article which are all under $40! You’ll notice that some of the selections are actually dresses – that doesn’t stop me from layering them! I often find dresses too short, so layering them with a pencil skirt works well. 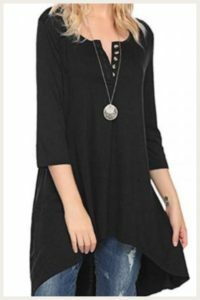 I’m an approved affiliate of PatPat, so if you choose to purchase any of these tunics for your wardrobe, PatPat will forward me a small referral fee (with no increased cost to you) which helps keep this website going! 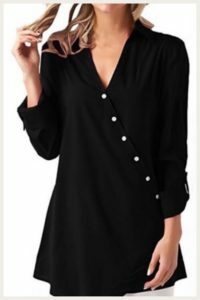 So thank you in advance if you choose to purchase any of these fab black tunics! Many of these dresses and tunics come in different colours. I’m trying out just the black ones to start. Again all are under $40 and can be purchased from PatPat – link to website here. I tend to buy oversized items. PatPat has lots of variety in colours and sizing – I’m really happy to have partnered with them. If you have any questions, feel free to reach out. The best way to get up to date info from the website is through my weekly newsletter – please see sign up here. PREVIOUSAre you a maker, do-er and thinker?